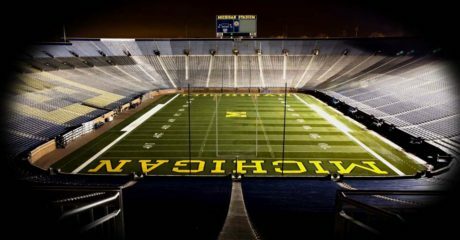 If you like the content here at TTB, I encourage you to share it on Twitter, Facebook, Reddit, Rivals, Scout, 247 Sports, other Michigan sites, etc. Thanks for your help in growing the site! 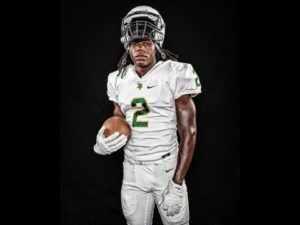 DeCalon Brooks – LB – Tampa (FL) Gaither: Brooks is a 5’11”, 197 lb. 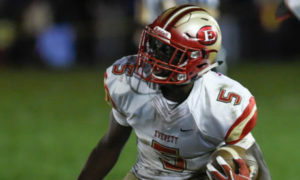 outside linebacker who signed with the Florida State Seminoles. He turned down offers from Illinois, Iowa, and Louisville to become a Seminole. He’s a 247 Composite 3-star, the #52 inside linebacker, and #1174 overall. 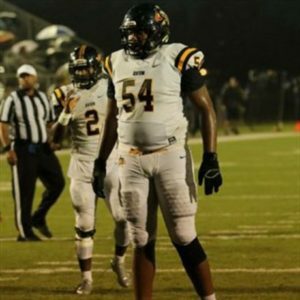 He is the son of former Florida State linebacker Derrick Brooks, who was a 1st round pick (#28 overall) of the Tampa Bay Buccaneers in 1995 and played through 2008. He’s now in the Pro Football Hall of Fame after making 11 Pro Bowls, 1715 tackles, 13.5 sacks, 25 interceptions, and 7 total touchdowns throughout his career. Germane Crowell – CB – Winston Salem (NC) Carver: Crowell is a 6’3″, 180-pounder who enrolled early at Virginia. 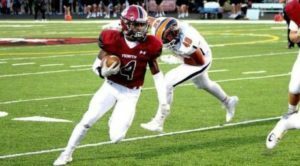 He’s a 3-star, the #41 athlete, and #557 overall, and he spurned offers from the likes of Georgia and Notre Dame to attend his dad’s alma mater. The elder Germane Crowell was a 2nd round pick (#50 overall) of the Detroit Lions in 1998. He caught 184 passes for 2,722 yards and 16 touchdowns during a five-year career with the Lions. 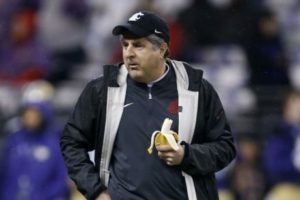 He was the head coach at Carver and amassed a 33-18 record over the past several years, but he resigned in December of 2016. Christian Elliss – LB – Littleton (CO) Valor Christian: Elliss is a 6’3″, 215 lb. prospect who signed with Idaho. 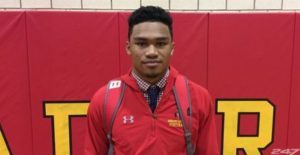 He’s a 2-star, the #207 outside linebacker, and #3067 overall. For more on his bloodlines, see the Noah Elliss entry below. 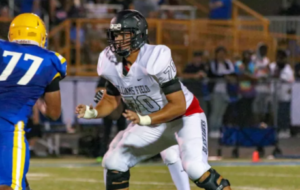 Noah Elliss – DT – Littleton (CO) Valor Christian: Elliss is a 6’4″, 330 lb. prospect who signed with Mississippi State. He’s a 3-star, the #23 defensive tackle, and #344 overall. 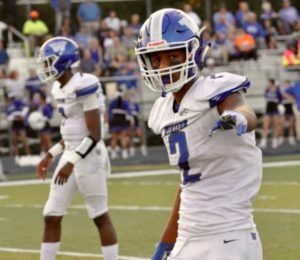 Alabama, Auburn, Notre Dame, Oklahoma, and USC also offered Elliss, so the choice of Mississippi State was odd. 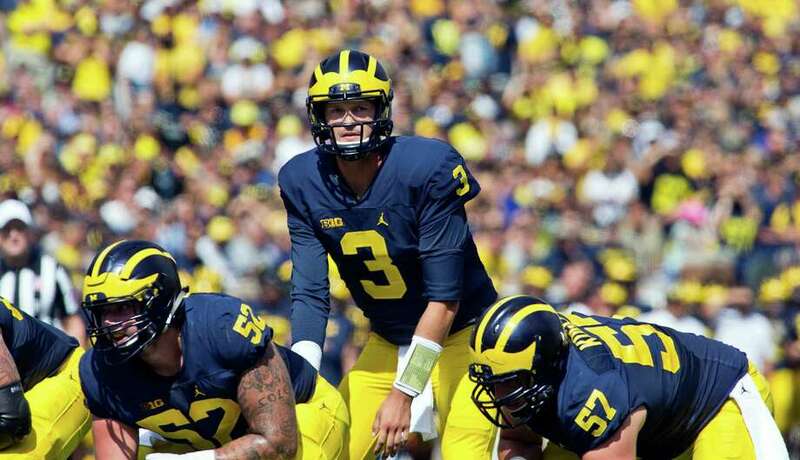 Furthermore, Michigan was in need of defensive tackles, so I thought it was possible that the Wolverines would extend an offer, especially considering where his “dad” spent his NFL career. 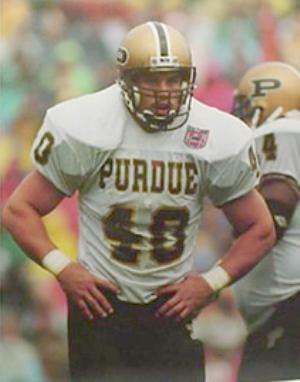 Luther Elliss played his college ball at Utah before becoming a 1st round pick (#20 overall) of the Detroit Lions in 1995. 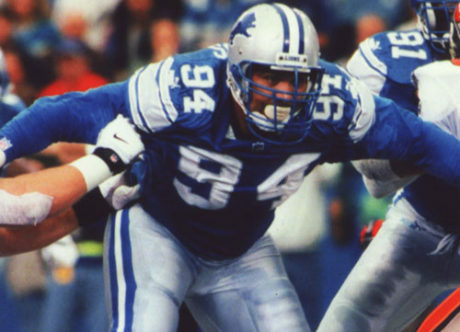 A two-time Pro Bowler for the Lions, he made 331 tackles and 29 sacks during a ten-year career, the last season of which he played for the Denver Broncos. Noah is actually Luther Elliss’s biological nephew, but Luther adopted him. Hit the jump for a gaggle of more players and their dads. Let’s see more of this guy on offense . . . Chris Evans. If you watched the game, you already know that Evans was the breakout star of the opener. He ran 8 times for 112 yards and 2 touchdowns. One of those touchdowns was a nifty run where he dived for the left pylon, showing good field awareness and body control. The other was a 43-yard burst right up the middle after being untouched at the line of scrimmaged. He hurried a couple runs, but he showed good patience on most of his rushing attempts. That’s how you average 14 yards/carry. 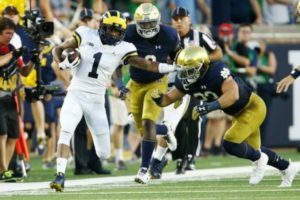 Evans looks like the most explosive running back the Wolverines have had in several years. Hit the jump for more awards from the Hawaii game. This one doesn’t leave much to the imagination. 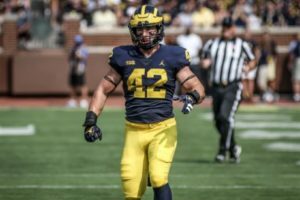 Michigan’s leading rusher from last season returns, and nothing that happened this off-season suggests that he will lose his mantle as Michigan’s top back. Unless a serious injury befalls him, it will be . . .
Last year I had Amara Darboh with 650 yards, and I was a little low with that yardage total. 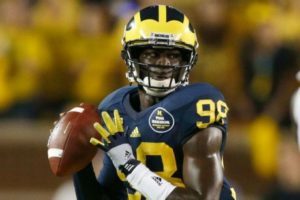 He also lost out late in the season to Jehu Chesson, who became a big-time deep threat down the stretch. 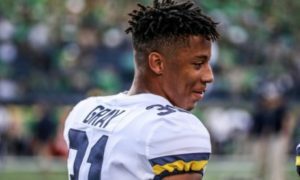 There’s talk that Darboh is the #1 receiver and has stepped up this fall, but I don’t expect him to change much from his redshirt junior season to his redshirt senior year. Last year: I ranked Wormley #16 and said he would be the starting strongside end with 40 tackles, 9 tackles for loss, and 6 sacks (LINK). He made ten starts either end or tackle, making 43 tackles, 14.5 tackles for loss, 6.5 sacks, 1 forced fumble, and 1 pass breakup. Wormley was a part-time starter in 2014, and we knew he would play a lot in 2015. It wasn’t clear how big of a step he would take, and the depth chart was murky with a wide array of talent. 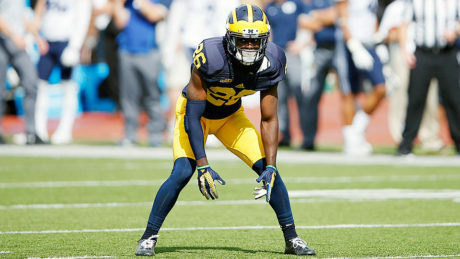 He broke out immediately in the Utah game with 5 tackles and 3 tackles for loss. From that point forward, he established himself as a player who could be dominant at times. Against Oregon State the next week, he had 6 tackles, 3 tackles for loss, and 1 sack. Of course, his pace of being headed for 36 tackles for loss couldn’t last, and it slowed down to where he just had 14.5 by the end of the year (8th in the Big Ten), along with 6.5 sacks (10th). Going into the 2016 season, he’s an established player that opponents have to account for regularly. 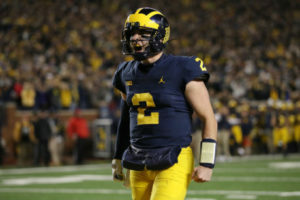 He can play strongside end or defensive tackle, and in fact, he has reportedly played every spot on the defensive line so Don Brown can employ him in many different ways in blitz packages. Despite being 300 lbs., he also regularly wins sprints for his position group. He’s an all-around terror. 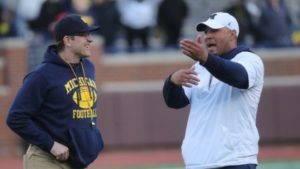 Scout’s Sam Webb said over the summer that Michigan’s staff planned to start Wormley at defensive tackle and Rashan Gary at strongside end, but I have heard other rumblings recently that perhaps Gary isn’t quite ready to start. 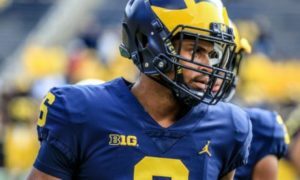 Depending on Gary’s readiness, Wormley will either start at end or tackle, with Matt Godin and Maurice Hurst, Jr. being the other options at 3-tech. 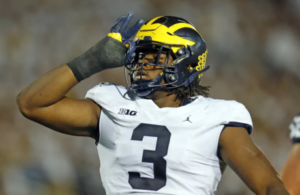 I don’t expect a huge leap for Wormley this year in terms of production, but the recently elected defensive captain should have another very solid year for the Wolverines. Griffin Alstott – QB – St. Petersburg (FL) Northside Christian: Alstott is a 6’2″, 200 lb. quarterback with a lone offer from Appalachian State. He’s a 247 Sports 3-star, the #18 dual-threat QB, and #580 overall. 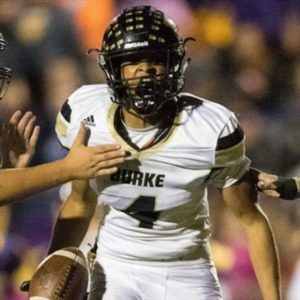 He is the son of former Purdue and Tampa Bay Buccaneers running back/fullback Mike Alstott, who was Purdue’s career touchdown leader after he finished his college career in 1995 and averaged 5.6 yards/carry as a 6’1″, 240 lb. bruiser. 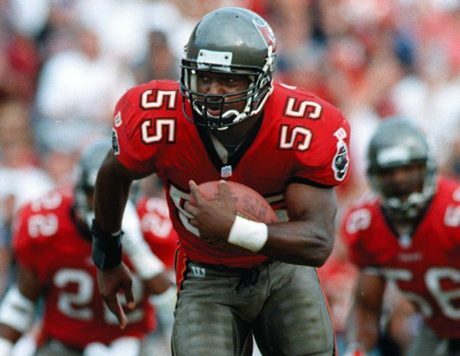 He became a 2nd round pick of the Buccaneers, playing his whole career there from 1996-2006. He had over 5,000 yards rushing, over 2,000 yards receiving, and a total of 71 touchdowns while winning a Super Bowl and going to six Pro Bowls.